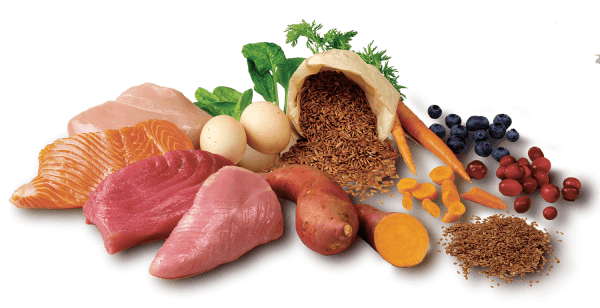 What's the best diet for a Fox Terrier? Might seem like an easy question, since these guys will eat just about anything that you set in front of them. They're a very active breed that should get daily exercise along with a good quality nutritious diet and a healthy dose of calories to match their expanding energy levels. 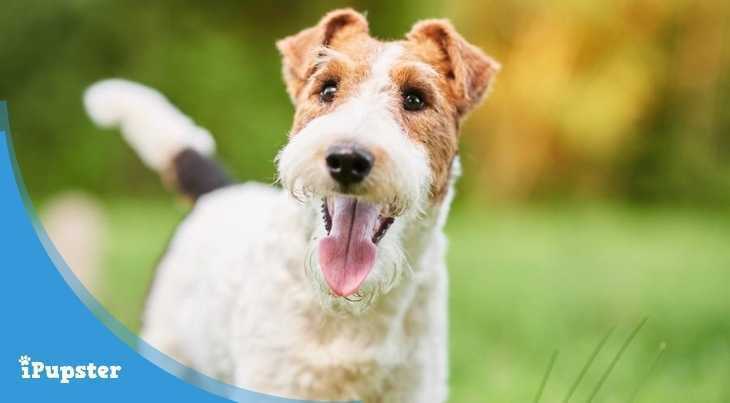 We've consulted with a few of our in-house dog experts to help you find some really great food options for your Fox Terrier packed with vitamins and minerals that’ll keep your dog lively and healthy and his excellent coat in top shape. Let's go check it out. Fox Terriers come as Toy Fox Terriers or Wire Fox Terriers, but Wire Fox Terriers are more popular than their smaller counterparts. Wire Fox Terriers were initially used for hunting and tracking in England in the 1800s, so they are good at dog sports and have a lot of stamina. This breed is great for active singles and families with children, since they are small dogs built for strength that are not aggressive towards people. Independent, playful, gentle and energetic. Epilepsy, cataracts, Legg-Calve-Perthes Disease, deafness, distichiasis and post-nasal drip. Wire Fox Terriers can be a harder breed to train because of their independent natures, but owners shouldn’t have a problem if they establish their dominance early on. This breed loves to please and enjoys being around its family, making it a loyal pet that can be a lot of fun. 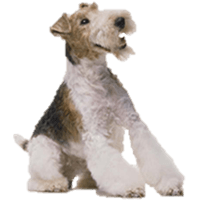 Owners should feed their Wire Fox Terriers high quality dog food that can maintain the breed’s exceptional energy levels if they want a happy, healthy Terrier on their hands. What Food to Feed your Fox Terrier? It is recommended that owners feed their Fox Terriers high quality dry dog food. Whole, natural ingredients like fresh vegetables and fruit are always good for giving dogs the nutrients they need to avoid health problems in the future. Owners who want their dogs to lead long, healthy lives should be willing to spend a little bit more on premium dog food brands that avoid harmful ingredients like grains and other fillers. Trusted brands like Solid Gold Holistic, Precise Holistic Complete, Blue Buffalo Wilderness and Orijen Grain-Free all use protein and produce as their main ingredients and come highly recommended by pet owners. Each of these brands are specifically formulated with the ingredients needed to help protect dogs’ skin and coat, joints, digestion, immune system, and more. How Much Food to Feed a Fox Terrier? The Fox Terrier breed is known for grazing or eating their food throughout the day. Whereas most dog breeds tend to overeat if food is left out for them all day, Fox Terriers are more likely to eat small meals throughout the day. Since Wire Fox Terriers are an active breed that enjoy a wide variety of games and physical activity, owners should make sure they have enough food available when they need to recharge. Owners can easily work out how much their Terrier should be eating given their age and energy levels. If you see that your Fox Terrier is gaining too much weight, you might want to limit them to two meals a day. It is also important to always make sure that dogs have fresh, clean water available. When deciding how much to feed their Fox Terriers, owners should go by the directions on the dog food they buy and factor in their dog’s weight and age. A good feeding guideline for an average Fox-T is about a cup and a third of food a day. Growing puppies have a lot more energy so they typically need to be fed more, whereas older dogs need to eat less. Owners should be flexible and know that they will need to adjust their diet at different stages in their dog’s life. Eye problems are somewhat common in Wire Fox Terriers, so it is important that owners know whether the dog’s parents suffered from eye problems beforehand. Owners should also have their dog's eyes checked yearly and keep a look out for warning signs like cloudiness, pawing at the eyes, or redness. There are several ingredients in premium dog food blends that can help protect dogs’ eyes, like blueberries, carrots, kale, broccoli, eggs, sweet potatoes, and fish. Legg-Calve-Perthes is a degenerative disease that is caused by restricted blood flow to the top of the thigh bone. The first symptom is limping and usually show up in the first year of a dog’s life. This disease is treated by surgery but the dog may be more prone to arthritis afterward. Feeding your Fox-T a high quality dog kibble with glucosamine and chondroitin can be a good way to support healthy joints. First Five Ingredients: Bison, Ocean Fish Meal (a source of fish oil), Brown Rice, Peas, Oatmeal. 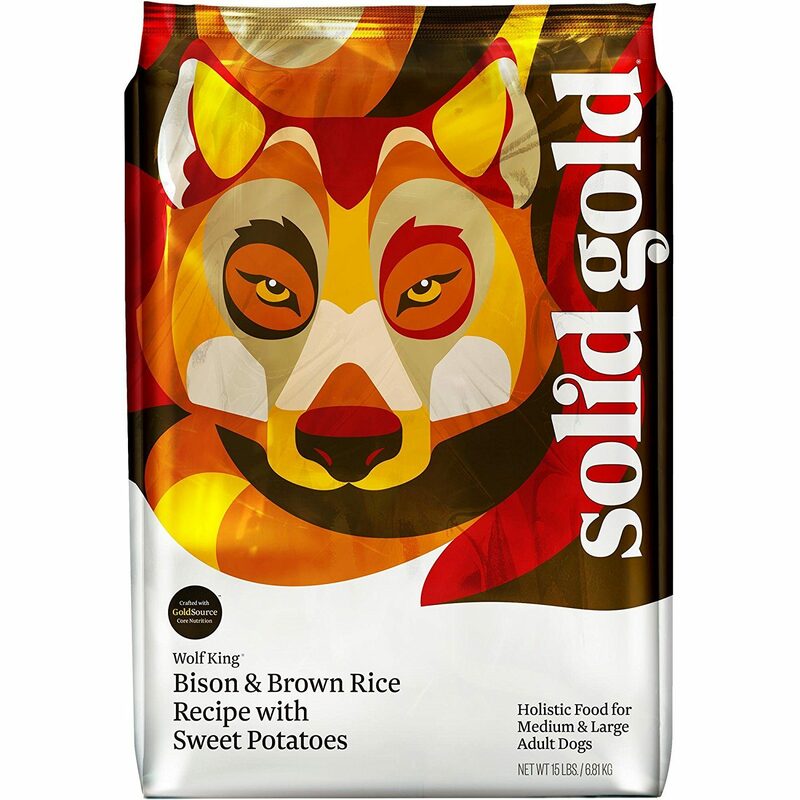 Solid Gold Wolf King Bison & Brown Rice Recipe with Sweet Potatoes formula is made with real bison as its healthy source of protein. This recipe is specially made to suit the needs of medium and large adult dogs. The blend is formulated with 20 nutrient rich superfoods like pumpkin, cranberries, blueberries, kelp, lentils, carrots, and broccoli. Olive oil, canola oil, and salmon oil are included as a source of healthy monounsaturated fats to support dogs’ skin and coat health. Plus, this blend does not contain any corn, wheat, or soy, which are all ingredients known for triggering allergies in dogs. This recipe contains 22% crude protein and 94 crude fat, with 350 kcal/cup. Solid Gold is popular with dog owners because it has meat as the first ingredient and contains everything that dogs need for long, healthy, and happy lives. Owners find the price reasonable for the quality and the benefits this food has for their dogs, like better digestion, softer fur, and healthier skin. Picky Fox Terriers love it too! First Five Ingredients: Duck Meal, Turkey Meal, Ground Brown Rice, Potato, Oatmeal. 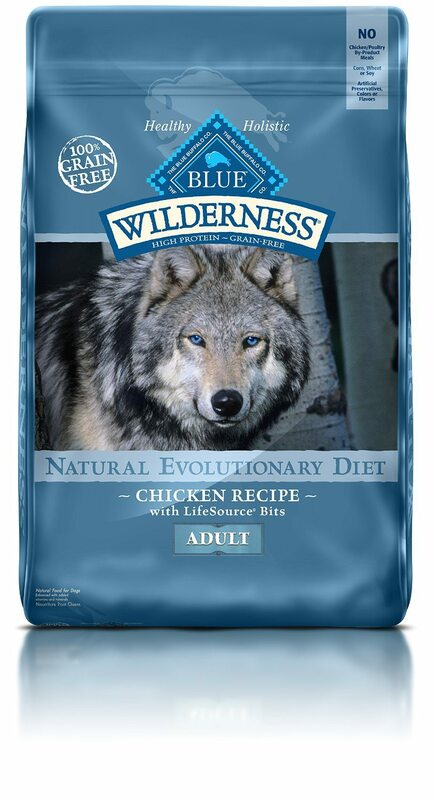 Precise Holistic Complete Wild at Heart is a dry dog food made in the USA specifically formulated to meet the nutritional needs of dogs at all life stages. Duck and turkey are used as this formula’s high quality protein sources, supplemented with herbs, fruits, vegetables, and probiotics for healthy digestion. 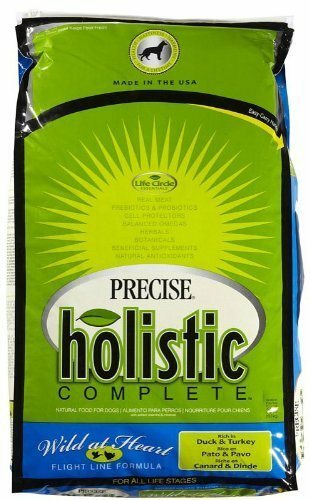 Precise Holistic Complete proudly meets the nutritional levels established by the Association of American Feed Control Officials (AAFCO) for all life stages. This meat-based formula offers 24% crude protein and plenty of healthy fats for concentrated energy to sustain your dog's activity levels. Dogs can’t get enough of this food blend and owners love that is it USA made using trusted ingredients only. Owners have found that their dogs saw reduced digestion issues and allergy symptoms AND their coats are much softer and shinier after switching to this brand from other dry kibbles. This recipe will give your Fox Terrier more energy thanks to the addition of L-Carnitine and a multitude of vitamins and minerals. He won't have to eat as much to get full, which makes this buy worth every penny! SOLID GOLD and Precise Holistic Complete provide dogs with complete nutrition, using meat at the first ingredients. Each of these dog food brands includes other natural healthy ingredients like fruits, vegetables, vitamins, and minerals needed for dogs to thrive. We recommend you do your own homework in researching the best dog foods for your Fox Terrier but we strongly recommend giving one these brands a try and in particular, Solid Gold since its ingredients appear to be on par with what we noted the Fox Terrier requires nutrition-wise!